There’s been so much talk lately about the upcoming mid-engined C8 Corvette that we sometimes forget the world-class C7 is still very much on sale. In fact, Chevrolet dealerships across the country currently have too many C7s in stock so great deals are likely to be found. But there may not be any immediate rush to buy. 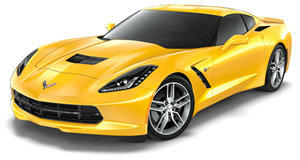 According to a GM internal document uncovered by, of all places or people, a Camaro forum member who then posted it to Corvette Forum, both the C7 Stingray and Z06 are specifically listed as 2020 models. Some previously speculated that model year 2020 will feature the entry-level C8 only in regards to Corvettes. If this document is the real deal, which also details passenger cars from GM’s Buick, Cadillac, and Chevrolet divisions, then it’s possible proof Chevrolet will continue producing the C7 in tandem with the C8 through at least 2020. Then again, a final decision may yet to be made, partly due to the fact that the C8’s launch was delayed several months because of a last-minute electrical issue. Chevrolet could have simply listed the C7 for 2020 as a place holder for the C8, which could still require final production confirmation. Point being, Chevy may not have a definitive answer just yet but fully intends to sell at least one Corvette generation a year from now. Corvette Blogger further points out this document was also sent out to Chevrolet dealers to alert them about what’s coming for planning purposes. If the C8 was listed instead of the C7, then we’d know for certain a debut is happening soon. 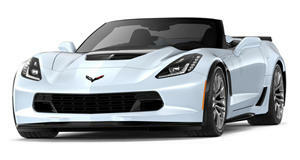 Chevy could just be writing C7 in order to prevent any leaks, which has clearly already happened. Also noteworthy in the document is what’s listed for Cadillac. Take note of the Lux2 Sedan and Lux3 Sedan. Are those codes for the Cadillac CT4 and CT5? It’s totally possible.